Are you a designer/developer? Producing digital products is a tough business. You need to invest lots of efforts trying to create a product that is better than the competitor’s. 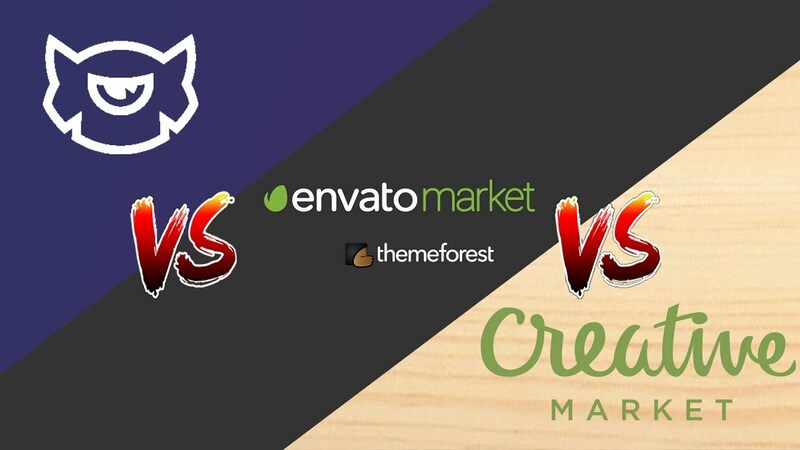 We would like to compare ThemeForest, TemplateMonster, and CreativeMarket marketplaces and point out the differences between them from author’s perspective. This way you will understand which of them fits you the most. TemplateMonster has become a marketplace not so long ago, but have already helped multiple developers earn tons of money. You can check out some vendor success stories here. Would you like to know how to become a vendor and upload your first product to the TemplateMonster marketplace? At first, you need to create an account. Log in and find the ‘Become a vendor’ item in the left menu. Find product archive requirements and upload your product as a .ZIP file. There’s nothing too complicated there, you just need to make sure that all files inside the archive are structured according to the requirements in the manual. Have you structured all files the right way? Ok, go on and upload your ZIP. When you start to upload your archive with source files, product information fields will be revealed. Fill in all those fields if you want your product to have a solid presentation on the marketplace. These fields include main info about your product. Item’s name, description, its type and list of files shipped in the pack. The next three fields contain the following info: recommended tools for working with your product, keywords, product features. The next fields set is about your support. If you rarely leave your workplace, you can set, say an hour response time. The following steps are the most important ones. You need to create appealing graphics for your product here. Add main page image, slider images, and presentation images. When you have filled all these fields and created images according to the requirements, press the button. After the above, your product will move to the second step. Let’s talk about the terms a bit. “Main image” is the picture you see when you enter any product page. It is the largest image at the top of the page. Its resolution is 800 x 1200 px. The maximum image size is 30 Mb. “Slider images” are a set of 4 items placed above the main image. Their minimum resolution is 965 x 600 px, maximum resolution is 1930 x 1200 px. Maximum size of any image is 30 Mb. “Presentational images” are the largest images on the page. You need to make sure that you adhere to the tooltips stating the minimal resolution of these images. Their minimum resolution is 2560 x 100 px, maximum width is 5120 px. The maximum size of any image is 30 Mb. When TemplateMonster’s review team checks your product you will receive an email notification that your product is ready to be published or needs modification. Do you think that the process is easy? It is as easy as it seems. Just follow the guides and be responsible. The marketplace usually reviews a product within 1 business day, but the terms depend on the item. For instance, if you want to sell a font, then the review will take just a few hours; if it’s an illustrations pack, the review will take nearly 2 hours; if it’s a robust CMS template the review may take up to 1 business day. You need to be patient and don’t lose your temper. Now it’s time to take a look at what ThemeForest has to offer their prospective authors. The process of uploading a product is almost the same as the one described above but there’s an obstacle. We recommend you to read quite a number of their help articles if you want to have your product approved from the first try. 1. First of all, you need to register. 2. Then you need to find the author dashboard inside the account. 3. Hit Dashboard and you’ll be redirected to the page where you can upload your product. 4. It’s time to upload your first item. 7. You can upload all files (zip + presentation images) using one button ‘Choose File’. 8. Now you need to set various attributes of your template (Category, Resolution, Widgets, Browsers Compatibility, Framework, Software Version, etc.). 9. Two last items are tags and price. 10. When you fill in all the fields, you can finally upload your product for a review. 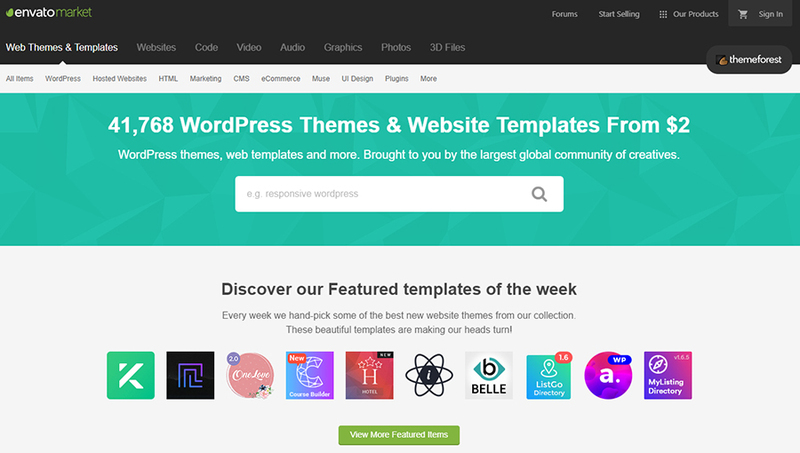 CreativeMarket is the last marketplace on our list. Please note that you won’t be able to sell your products on Creative Market unless you are an approved seller. The process is not too complicated, yet, a lot of applicants get rejected. the products in your portfolio are not good enough. Well, but the goal of this blog post is not your English level or portfolio evaluation. We aim to show you the differences and similarities between three marketplaces. Let’s see what’s Creative Market has to offer. When you get your invite, your user profile will be upgraded to a Store. When you become a store, several new menu items will be added. When you press Add New Product you will see the screen with 8 types of product details you need to fill in. Add at least 5 product images. Upload an archive with product files. Add some product properties aka features. Add up to 20 keywords. When you’ll finish, change the product status to live. That’s it, you are done. Your product goes live and appears on your storefront immediately. Crazy times are waiting for you ahead. “When should I expect the first sales?” – this is the second spot on the top 3 list of the CreativeMarket forum. 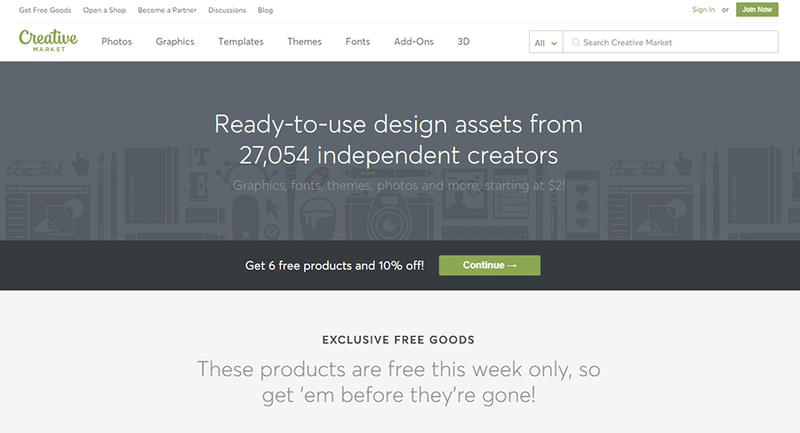 That’s all about TemplateMonster, ThemeForest, and CreativeMarket marketplaces. Hope it will help you make the right choice and become a successful author. Remember that it’s only up to you to decide where you want to sell your products. In any case, we wish you best of luck!